With 6,000 lbf. 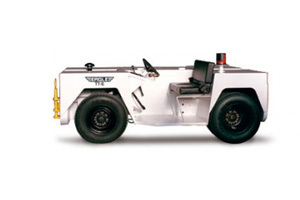 DBP, and an optional All Wheel Drive power train, the Eagle TT-6 aircraft tug was designed to move super mid-size business jets such as the Challenger 650 and Falcon 900 in all weather conditions. Optional All Wheel Drive power train, providing safe, controlled traction on all surface conditions. Load Type Ideal for aircraft such as the Challenger 650 and Falcon 900.